Espadrilles. The quintessential shoe of the summer season. 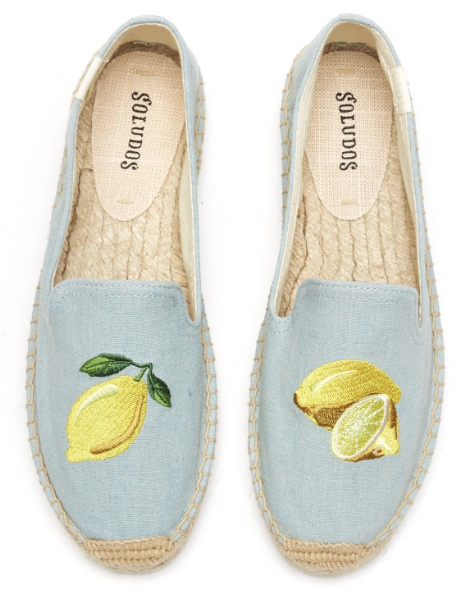 The other day as I was searching for a pair I stumbled upon Soludos, an authentic, travel inspired shoe brand. 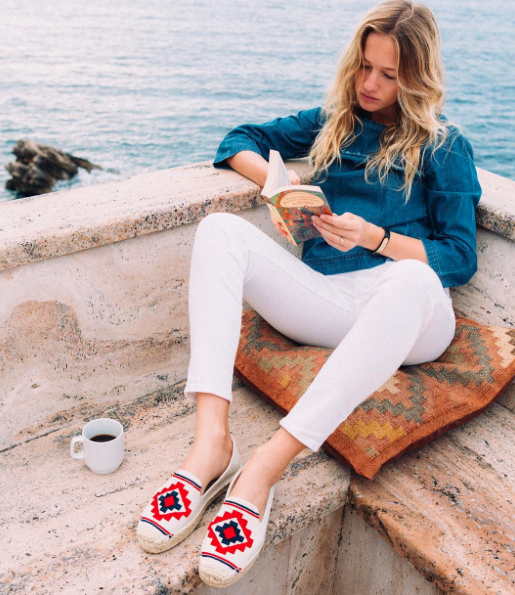 Focused on travel and gaining design inspiration from all corners of the globe, Soludos has created a collection of shoes unlike any other. "Artisanal craftsmanship and unique details"; their shoes are not only meant to be walked in, but adventured in. As a girl who loves playing, adventure, and fun, I am completely sold on this brand and hope to get a pair soon! Although I'm pretty much obsessed with every one of their shoes, I particularly like these simple, graphic, embellished espadrilles. I mean, how cute are they?! These shoes would be perfect with a nice pair of white cutoffs as you head to the beach, or a flirty sundress for a picnic in the park. If I had a pair of these on I can guarantee you I'd be smiling down at my feet the entire day! Simple, chic, with just the right amount of childhood whimsy, Soludos espadrilles are sure to be the shoe of the summer! Click the pictures below to give your feet a summer treat! 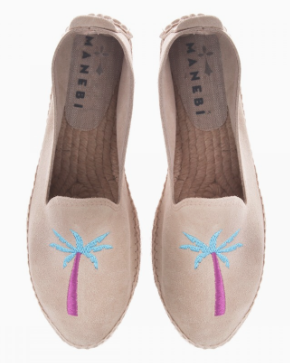 Side note: The Palm Tree espadrille is actually from the Chiara Ferragni Collection aka The Blonde Salad.